Infertility; It’s a pain that cannot be compared or measured. Our journeys in this life are all so different. Why do we feel the need to prove that our hurts are worse or harder than anyone else’s? 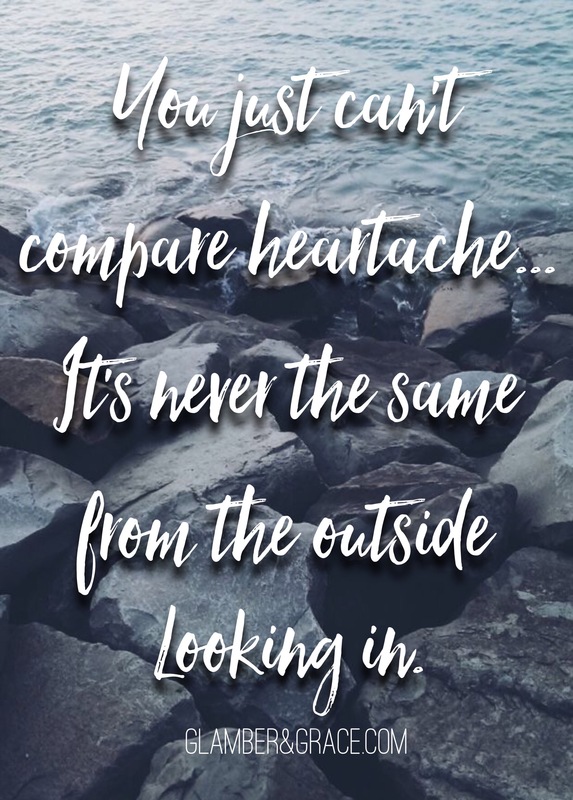 Why is comparison our first reaction to someone else’s hurt? I would never try to prove to a person fighting cancer that my pain compares to theirs. I know that try as may, all the compassion in the world could never reach the crevices of her heart where fear and injustice has seeped in. I can’t feel it for her. I don’t know what it’s like for her to have to answer “how are you feeling?” over and over again. Or to worry about giving people the answer that they want to hear because people want positive news. I don’t know what it’s like to have to look my children or spouse in the eyes and admit that I’m dying, so I would never compare. They just want you to stop comparing heartache, they don’t want you to try to fix it. They want to be allowed to have bad days, they need you to still see them the same way when they come out of that cloudy day. They just want to know that you are on their team.